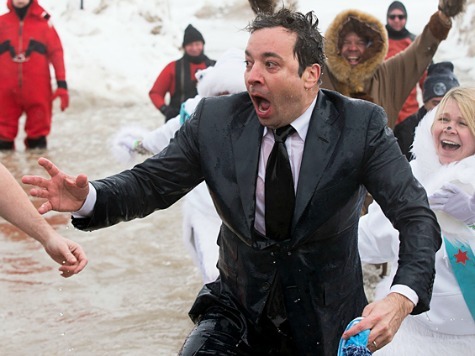 This year Chicago Mayor Rahm Emanuel and NBC Tonight Show host Jimmy Fallon joined the daredevils taking the “Polar Bear” plunge in freezing Lake Michigan, Fallon making good on his promise to do so after a challenge Tweet sent by the Mayor. The polar vortex has handed Chicago one of its coldest, snowiest Winters in modern memory, but that didn’t stop the famed “Polar Bear” challenge as Chicagoans braved the freezing cold waters of Lake Michigan to start March with a plunge. The event often brings celebrities to the lake, but this year Emanuel, also promised to take the plunge himself if Chicago’s school kids would read 2 million books during the city’s Summer Learning Challenge. 71,000 Chicago youngsters obliged and even went 100,000 over the mark for good measure. But Mayor Emanuel didn’t want to be the only one taking the chilly dip and began Tweeting NBC personality Fallon to come to Chicago and take the Wintry jump in Lake Michigan, too. Emanuel promised that he’d go on Fallon’s Tonight Show if the late night host came to Chicago. 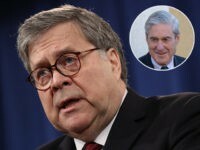 After several rounds of Tweets between the host and the mayor, Fallon agreed to do it, though he later claimed he wasn’t fully aware of what it all entailed. True to his Tweeted promises, Fallon came to Chicago on March 2 and in his full suit and tie ran headlong into the 32-degree water with Chicago’s mayor and other assorted celebrities. “If you hear a scream like a little girl’s, just know that Jimmy Fallon is swimming in Lake Michigan,” Fallon told the crowd just before taking the plunge. The Polar Bear challenge is held every year to benefit the Special Olympics and Chicago Special Olympics President Jen Kramer said that this year more than 3,000 folks came out topping 2013’s 2,300. She credits Fallon and Emanuel’s bet as the reason so many more came out. Kramer said that more than a million dollars will be raised with the challenge this year.